With all the books available about managing your money, what makes this one any different? 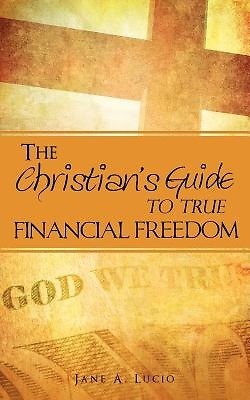 IT'S NOT ABOUT MANAGING YOUR MONEY It's about freedom and prosperity and how to have both without seeking to earn, save, or invest another dollar. How many of you have said things like, "Wait until payday," or, "We can't afford it"? With the tools Jane provides, through the interpretation of God's Word, you will never say those things again. You will not only have all you need, you will have more than you need. "Be assured that the Word will go against everything the world has taught you. It will go against what you can see. It will seemingly go against all logic." - Jane A. Lucio About the author: Since giving her life to Jesus Christ, back in 1975, Jane Lucio has been an avid student of the Bible. She's been a homeschooling mom and a ladies' Bible study teacher. Now that her last child is preparing for college and her parental responsibilities are waning, she feels led by the Lord to share what God has taught her. This is her first book, but the lesson it will share with you will change your life forever.